The 1979 Fastnet race was the twenty-eighth Royal Ocean Racing Club's Fastnet race, a yachting race held generally every two years since 1925 on a 605-mile course from Cowes direct to the Fastnet Rock and then to Plymouth via south of the Isles of Scilly. In 1979, it was the climax of the five-race Admiral's Cup competition, as it had been since 1957. The Royal Ocean Racing Club is a gentleman's club in London. It was established in 1925 as the Ocean Racing Club, as a result of a race to the Fastnet Rock from Cowes, finishing in Plymouth. The RORC is the principal organiser of offshore yacht races in the United Kingdom, including the Fastnet Race, the Admiral's Cup and the Commodores' Cup. RORC was founded to encourage long distance yacht racing and the design, building and navigation of sailing vessels in which speed and seaworthiness are combined. Yachting refers to the use of recreational boats and ships called yachts for sporting purposes. Yachts are distinguished from working ships mainly by their leisure purpose. Cowes is an English seaport town and civil parish on the Isle of Wight. Cowes is located on the west bank of the estuary of the River Medina, facing the smaller town of East Cowes on the east bank. The two towns are linked by the Cowes Floating Bridge, a chain ferry. The English Channel, also called simply the Channel, is the body of water that separates Southern England from northern France and links the southern part of the North Sea to the Atlantic Ocean. It is the busiest shipping area in the world. The Naval Service is the maritime component of the Defence Forces of Ireland and is one of the three branches of the Irish Defence Forces. Its base is in Haulbowline, County Cork. The 1979 race started on 11 August. BBC Radio shipping forecast, broadcast at 13:55 that day predicted "south-westerly winds, force four to five increasing to force six to seven for a time." By 13 August, winds were reported at Force 6, with gusts of Force 7. Forecasters were predicting winds of Force 8. The leading boat, Kialoa , trailed closely by Condor of Bermuda ,  was on course to break the Fastnet record set eight years earlier. The Beaufort scale is an empirical measure that relates wind speed to observed conditions at sea or on land. Its full name is the Beaufort wind force scale. Kialoa was a maxi yacht campaign founded and led by Jim Kilroy spanning from 1956 to 1989. Explosive cyclogenesis is the rapid deepening of an extratropical cyclonic low-pressure area. The change in pressure needed to classify something as explosive cyclogenesis is latitude dependent. For example, at 60° latitude, explosive cyclogenesis occurs if the central pressure decreases by 24 mbar (hPa) or more in 24 hours. This is a predominantly maritime, winter event, but also occurs in continental settings, even in the summer. This process is the extratropical equivalent of the tropical rapid deepening. Although their cyclogenesis is totally different from that of tropical cyclones, bombs can produce winds of the same order as the first categories of the Saffir-Simpson scale and give heavy rainfall. Even though only a minority of the bombs become so strong, some have caused significant damage. Wexford is the county town of County Wexford, Ireland. Wexford lies on the south side of Wexford Harbour, the estuary of the River Slaney near the southeastern corner of the island of Ireland. The town is linked to Dublin by the M11/N11 National Primary Route; and to Rosslare Europort, Cork and Waterford by the N25. The national rail network connects it to Dublin and Rosslare Europort. It had a population of 20,188 according to the 2016 census. Land's End is a headland and holiday complex in western Cornwall, England. It is the most westerly point of mainland Cornwall and England, situated within the Penwith peninsula about eight miles (13 km) west-south-west of Penzance at the western end of the A30 road. The corrected-time (i.e. handicap) winner was the yacht Tenacious, designed by Sparkman & Stephens, owned and skippered by Ted Turner. The winner on elapsed time in the race was the 77-foot SV Condor of Bermuda skippered by Peter Blake, which gained around 90 minutes on the leader at the Fastnet rock, the SV Kialoa by chancing a spinnaker. Jim Kilroy of the Kialoa had broken his ribs and there was damage to the yacht's runners. SV Condor of Bermuda broke the Fastnet record by nearly eight hours (71h25m23s). ↑ place awarded by Race Committee under rule 12 for loss of time in rescuing crew from yacht Griffin. Early press reports were often confused. The Daily Telegraph reported that 69 yachts did not finish. Main source: Daily Telegraph, p. 3, 16 August 1979. SV Accanito of France, broken rudder. Towed. SV "Autonomy". Towed to Dunmore East. SV Bonaventure of Britain. Abandoned. SV Camargue of Britain. Abandoned. SV Charioteer of Britain. Sunk. SV Combat II. Retired to Cork. SV Golden Apple of Ireland, disabled. Abandoned. Crew rescued by RAF Lynx helicopter. SV Grimalkin. Abandoned and subsequently recovered. Read John Rousmaniere's 'Fastnet, Force 10' & Nick Ward's 'Left for Dead'. SV Gringo. Reported as 'believed sunk'. SV Hestral. Abandoned. Crew of 6 rescued by Royal Navy helicopter. SV Jan Pott of Germany, Flensburg. Broken mast. SV Magic of Britain. Sunk. SV Morning Cloud of Britain, broken rudder. SV Polar Bear of Britain. Sunk. Crew rescued. SV Scaramouche. Retired and made own way back to Plymouth. "Although we hadn't the satisfaction of being one of the 88 which rounded "the rock" we were content in knowing that we had brought the boat and ourselves back in one piece"-Steve Cross. SV Silver Apple of Howth: lost steering, assisted by LÉ Deirdre (P20), made a jury steering rig, retired to Courtmacsherry under own power. Polar Bear was abandoned but remained afloat and raced again. She is berthed in Plymouth. Over 4000 people aided in the rescue efforts. The Royal Navy coordinated efforts to find around 80 vessels and rescue 136 crew members. 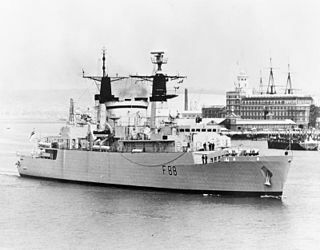 HMS Broadsword was the lead ship and first Batch 1 unit of the Type 22 frigates of the Royal Navy. The 1998 Sydney to Hobart Yacht Race was the 54th annual running of the "blue water classic" Sydney to Hobart Yacht Race. It was hosted by the Cruising Yacht Club of Australia based in Sydney, New South Wales. It was the most disastrous in the race's history, with the loss of six lives and five yachts. 55 sailors were rescued in the largest peacetime search and rescue effort ever seen in Australia. The Admiral's Cup was an international yachting regatta. For many years it was known as the unofficial world championship of offshore racing. 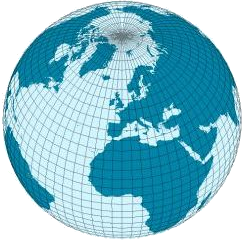 The International Offshore Rule (IOR) was a measurement rule for racing sailboats. The IOR evolved from the Cruising Club of America (CCA) rule for racer/cruisers and the Royal Ocean Racing Club (RORC) rule. In dinghy sailing, a boat is said to be turtling or to turn turtle when the boat is fully inverted with the mast pointing down to the lake bottom or seabed. The name stems from the appearance of the upside-down boat, similar to the carapace, that is the top shell of a sea turtle. The term can be applied to any vessel; turning turtle is less frequent but more dangerous on ships than on smaller boats. Relative to monohulls, it is more hazardous on multihulls, because of their inherent stability in an inverted position. Measures can be taken to prevent a capsize from becoming a turtle. 771 Naval Air Squadron of the Fleet Air Arm was formed on 24 May 1939 at Lee-on-Solent as a Fleet Requirements Unit with 14 Fairey Swordfish TSR biplanes. The Squadron carried out various exercises with ships and provided towed targets for naval air gunners and was decommissioned on 22 March 2016. The limit of positive stability (LPS) or angle of vanishing stability (AVS) is the angle from the vertical at which a boat will no longer stay upright but will capsize, becoming inverted, or turtled. The 1993 Sydney to Hobart Yacht Race was the 49th annual running of the Australian "blue water classic" Sydney to Hobart Yacht Race. It was hosted by the Cruising Yacht Club of Australia based in Sydney. John Rousmaniere is an American writer and author of 30 historical. technical, and instructional books on sailing, yachting history, New York history, business history, and the histories of clubs, businesses, and other organizations. An authority on seamanship and boating safety, he has conducted tests of equipment and sailing skills, and led or participated in fact-finding inquiries into boating accidents. He has been presented with several awards for his writing and his contributions to boating safety and seamanship. Wells-next-the-Sea Lifeboat Station is an RNLI operated lifeboat station located in the town of Wells-next-the-Sea in the English county of Norfolk. The station operates both inshore and offshore lifeboats. The inshore boat is called Jane Ann III (D-661) and is a D-class (IB1) lifeboat, whilst the offshore boat is called Doris M, Mann of Ampthill, and is a Mersey class lifeboat. The station boathouse is located at the beach on the western side of Wells Harbour mouth. Jeremy Charles Rogers, MBE is a British boat builder and sailor, based in Lymington, Hampshire, in the United Kingdom, and the manager of an eponymous boatyard, Jeremy Rogers Limited. Morning Cloud was the name given by the British politician Edward Heath to a series of five yachts which he owned between 1969 and 1983. Baltimore Lifeboat Station is situated in Baltimore, Ireland and was established in 1919. The station currently runs two lifeboats, RNLB Alan Massey, a Tamar-class All-Weather lifeboat, and RNLB Bessie (B-708), a B-class Atlantic 75 inshore lifeboat. Drum is a maxi yacht owned by Scottish car sales group Arnold Clark Automobiles, formerly co-owned by lead singer of Duran Duran Simon Le Bon who was rescued from the vessel while competing in 1985 Fastnet Race. RNLB Freddie Cooper is the current all-weather lifeboat on station in the town of Aldeburgh in the English county of Suffolk. The Freddie Cooper has the operation No: 12-34 and has been on station since 1993. She is a Mersey-class fast carriage lifeboat. RNLB Keith Anderson was an Arun-class lifeboat which served at Newhaven Lifeboat Station for six years, in the relief fleet for one year and finished her RNLI career in Hartlepool in 2003 after serving for three years. UFO 34 is a cruising and racing fibreglass monohull sailboat class. It is a sloop based on a design by Holman and Pye. The design features a spade rudder and a Bermuda rig with a large, overlapping headsail. Over 150 UFO 34's have been built both in the United Kingdom and Australia. 1 2 3 4 5 Forbes, Laing & Myatt 1979. ↑ Paterson, Tony (18 July 2009). "Hell and high water: The Fastnet disaster". The Independent . Retrieved 17 April 2015. ↑ Siggins 2004, pp. 49. ↑ "Yachts and boats on Internet Video". Sunzu.com. Retrieved 17 April 2015. ↑ "Exceptional Weather Events: The Fastnet Disaster" (PDF). Met Éireann. Retrieved 28 March 2012. ↑ Knox et al. 2011. ↑ "Fastnet 79: The Disaster that Changed Sailing (Eye witness accounts)". Yachting World . Archived from the original on 23 December 2015. Retrieved 24 November 2013. 1 2 3 Rousmaniere 2000. ↑ Pardey, Lin (2008). Storm Tactics Handbook, 3rd Ed., Modern methods of heaving-to for survival in extreme conditions. Arcata, California: Pardey Books. p. 97. ISBN 978-1-92921-447-1. ↑ Ward 2008, pp. 264-273. ↑ Siggins 2004, pp. 50. ↑ Corin & Farr 1983, pp. 120. ↑ "Cowes : Holy Trinity Church - Fastnet Race Memorial". Memorials & Monuments on the Isle of Wight. Retrieved 16 April 2015. ↑ "Fastnet Tragedy Memorial Service". Extract from Southern Star newspaper. Humainst Association of Ireland . Retrieved May 12, 2017. ↑ Laven, Kate (4 August 2009). "Cowes Week 2009: Kieron Kennedy admits he was 'lucky to survive' 1979 Fastnet Race". Daily Telegraph . Retrieved 16 April 2015. Tregoning, Martin, Acting District Controller, Senior SAR Mission Controller HMCG Lands End. Corin, John; Farr, Grahame (1983). Penlee Lifeboat. Penzance: Penlee & Penzance Branch of the Royal National Lifeboat Institution. p. 120. ISBN 0-9508611-0-3. Fairchild, Tony (16 August 1979) Fastnet may be limited to fewer Yachts Daily Telegraph, p. 3. Forbes, Sir Hugh; Laing, Sir Maurice; Myatt, Lt. Col. James (1979). "1979 Fastnet Race Inquiry" (PDF). Royal Yachting Association, Royal Ocean Racing Club . Retrieved 3 July 2012. Knox, John A.; Frye, John D.; Durkee, Joshua D.; Fuhrmann, Christopher M (1 February 2011). "Non-Convective High Winds Associated with Extratropical Cyclones" (PDF). Geography Compass . 5 (2): 63–89. doi:10.1111/j.1749-8198.2010.00395.x . Retrieved 28 March 2012. Rais, Guy and Bramwell, Christopher (15 August 1979) 10 die in yacht race havoc Daily Telegraph , p. 1 & 32. Rousmaniere, John (1980). Fastnet, Force 10: The Deadliest Storm in the History of Modern Sailing (Paperback). New York: W. W. Norton & Company (17 April 2000). p. 304. ISBN 978-0393308655. Rousmaniere, John (January 2000). "Revisiting Lessons from the Fastnet". SailNet.com. Retrieved 25 November 2013. Roy, Amit (17 August 1979). "Last of the Fastnet race yachts found". Daily Telegraph . p. .
Siggins, Lorna (2004). "4". Mayday! Mayday! Heroic Air-Sea Rescues in Irish Waters. Dublin: Gill and Macmillan. pp. 51–52. ISBN 0-7171-3529-2. Ward, Nick (2008). Left for Dead: The Untold Story of the Tragic 1979 Fastnet Race. A & C Black. ISBN 978-0-7136-8936-5. Wettern, Desmond (20 August 1979) Fastnet race rescue operation involved 4,000 people Daily Telegraph , p. 2. Mayers, Adams (2007). Beyond Endurance: 300 Boats, 600 Miles, and One Deadly Storm. McClelland & Stewart. Rousmaniere, John. Fastnet, Force 10. Ward, Nick. Left for Dead: The Untold Story of the Tragic 1979 Fastnet Race. "1979: Freak storm hits yacht race". BBC News . Retrieved 24 November 2013. "Fastnet 79". yachtingworld.com. Retrieved 17 April 2015.
pjwellsify (28 September 2012). "The Fastnet Yacht Race Tragedy of 1979" (Video). YouTube . Retrieved 17 April 2015. "Racing a performance Dazcat catamaran in the Rolex Fastnet... Fastnet Race 1979 Yacht Grimalkin". Stories from the 1979 Fastnet Race Storm. YouTube. Retrieved 17 April 2015. US Sailing (29 September 2011). "The 1979 Fastnet Race Storm - YouTube" (Video for fastnet race 1979 YouTube? 2:12). Retrieved 17 April 2015.